Whether you’re excited or not, football season is official back in America. After last week’s kickoff, games are in full swing and fans are in full celebration mode. If you’re running a sports bar or laid-back grill, this is the perfect opportunity to capitalize on the revelry. We highlight restaurant event and promotion ideas that are perfect for football season. The most obvious, of course, is offering a place for rowdy fans to cheer on their favorite teams. Millions of Americans tune in each Sunday to watch their favorite teams play. Why not invite them to your place? Host an NFL ticket event each Sunday where you stream multiple games throughout the day. You can ask guests to pay a cover charge to access the live action but promise drink and food specials for select timeframes. Make sure you market this event beforehand by sending out email blasts and doing some local paid advertising on social media. 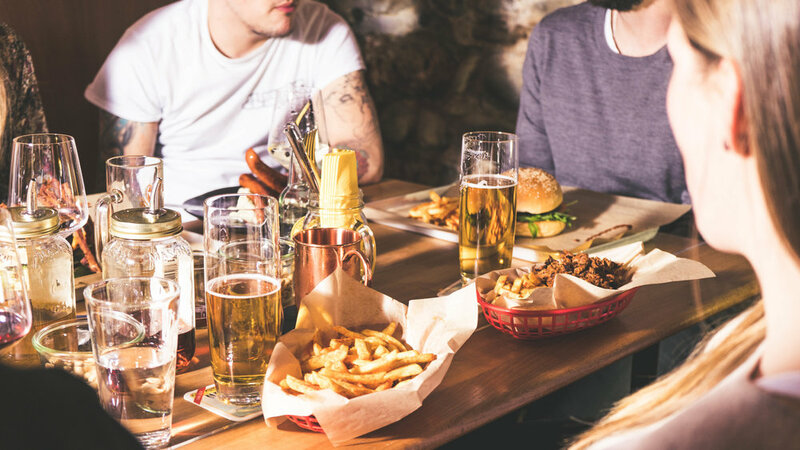 People will be looking for places to watch the game and you want to let locals know that your restaurant or bar is the place to be. Let’s face it, not everyone wants to sit around for hours and watch a sporting event. But, that doesn’t mean you don’t want them in your restaurant. Create a space for the non-sports enthusiasts to kick back and have a good time. You can offer a special menu for those who choose not to watch the game but still want to enjoy some good food and fun. Put some board games and icebreakers on tables to encourage group activity and let them pick the channel on the television. Football season can still be fun for everyone! Make sure customers know you’re offering something for everyone by including this offering in your email newsletters and other marketing. Being inclusive and not just football-centric can help bring in larger crowds. 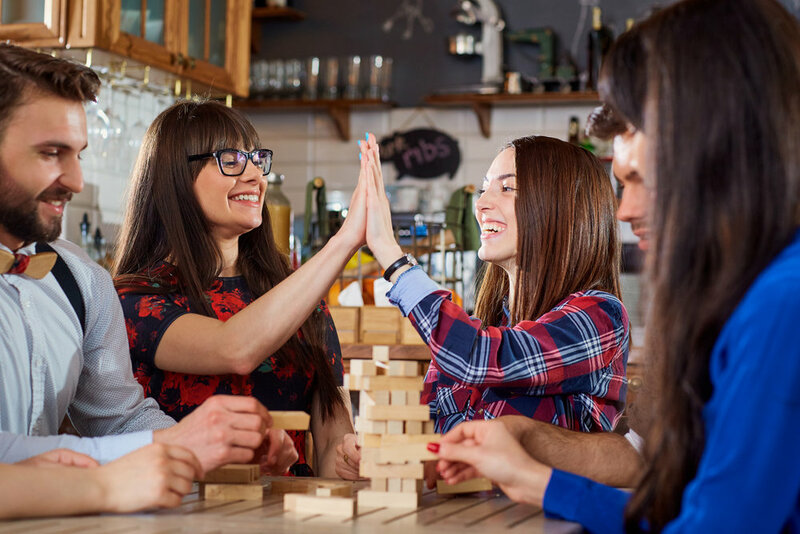 The fun doesn’t have to stop when the last games end, keep guests around until closing time. Release a “post-football” late night menu to keep guests ordering. Offerings can include fried food platters, beer pitcher specials, and dessert. Offer discounts on select food and drinks until closing time to keep the party going. You can even incorporate some fun post-football games like NFL trivia or bingo to keep guests engaged. If you want to make things more exciting during the games, ask guests which team they’re rooting for upon arrival. Stamp their hands or give them a colored wristband based on the team they choose. If their team takes home the win, offer up a discounted drink or free appetizer for next time they visit. If you incentivize guests with a prize that can be used later, they’ll want to come back next Sunday to redeem their winnings. Restaurants’ current customers spend 67% more than new customers, so you want this return business. Aside from the game, the most exciting part about football season is the food and drinks. Fan are looking for delicious things to drink and eat while they intently watch the screen. Create game day platters filled with football fan favorites like mozzarella sticks, wings, and potato skins. Shareable platters are perfect for large group events like these. 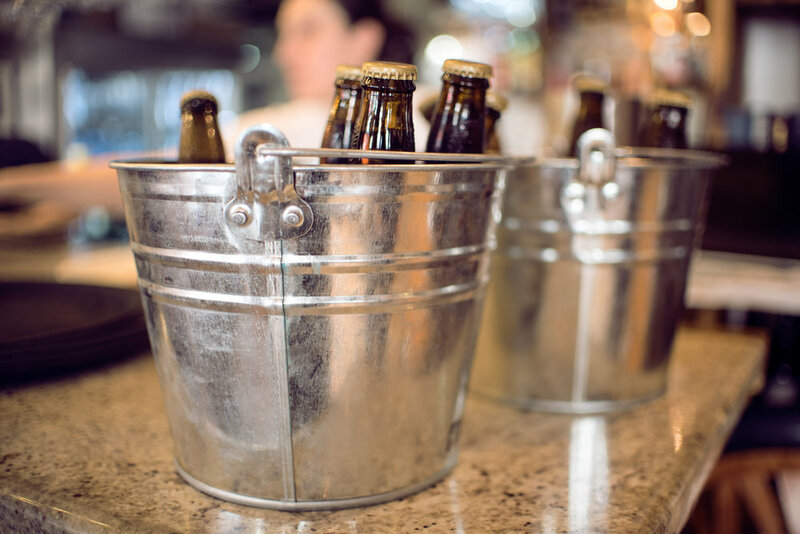 Beer buckets are also great for game day. Offer deals on these platters and buckets to encourage more orders. Give guests a chance to enter into a contest to win a grand prize. Keep the raffle going for all of football season and choose a winner right before Super Bowl Sunday. And make it about charity! Ask participants to make a predetermined amount donation for a local charity with each ticket. Let guests know that they can enter once per visit; if they’re excited about the prize, they’ll be encouraged to come back multiple times in order to increase their chances to win. The lucky raffle champion will receive an ultimate Super Bowl Sunday package, including everything they need to have a fun-filled celebration. The charity you select will also benefit from all the collected earnings. Raffle basket item ideas include chips and dip, party noisemakers, promotional items from your restaurant (t-shirts, hats, and mugs), gift cards to other local businesses, and a gift card to your own restaurant. If you want to take your raffle in a different direction, offer up a television as the grand prize ahead of Super Bowl Sunday. You can also provide runner-up prizes to two other guests. **Before running a raffle, make sure you’re adhering to the laws of your state. Plenty of people are pumped about the beginning of football season. The games have just begun and will be continuing on for a number of months, so use it as a chance to get more business! Use marketing, events, and promotions to get famished fans into seats and stools. Keep them coming back all season with offers they can’t resist. Football is more than just America’s favorite game, it’s an opportunity for you to attract more guests and boost profits.